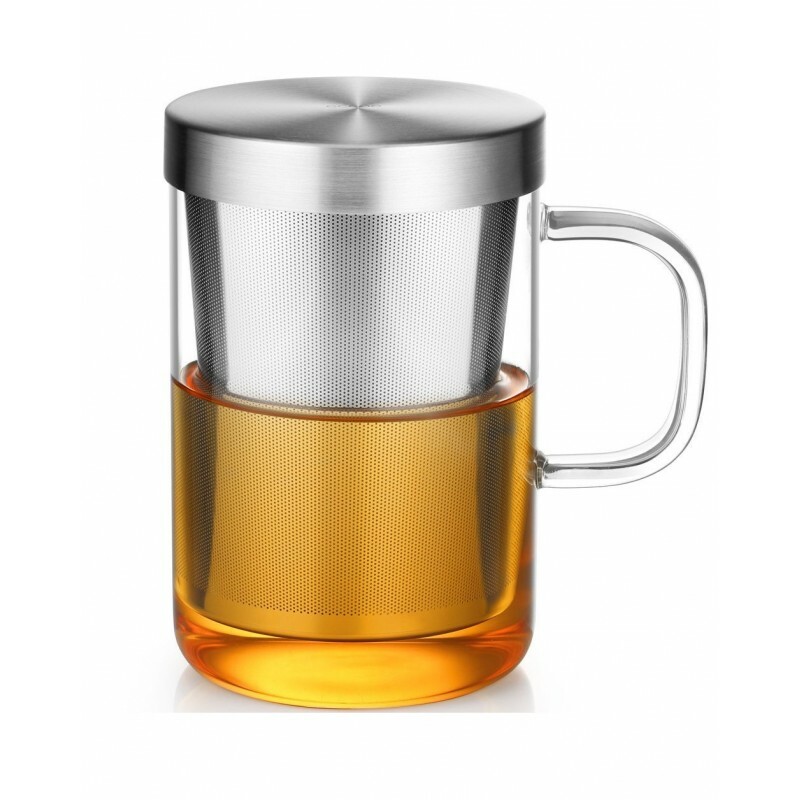 Borosilicate glass tea infuser cup is stovetop friendly for gas, electric ceramic stove and more — perfect for tea brewing. 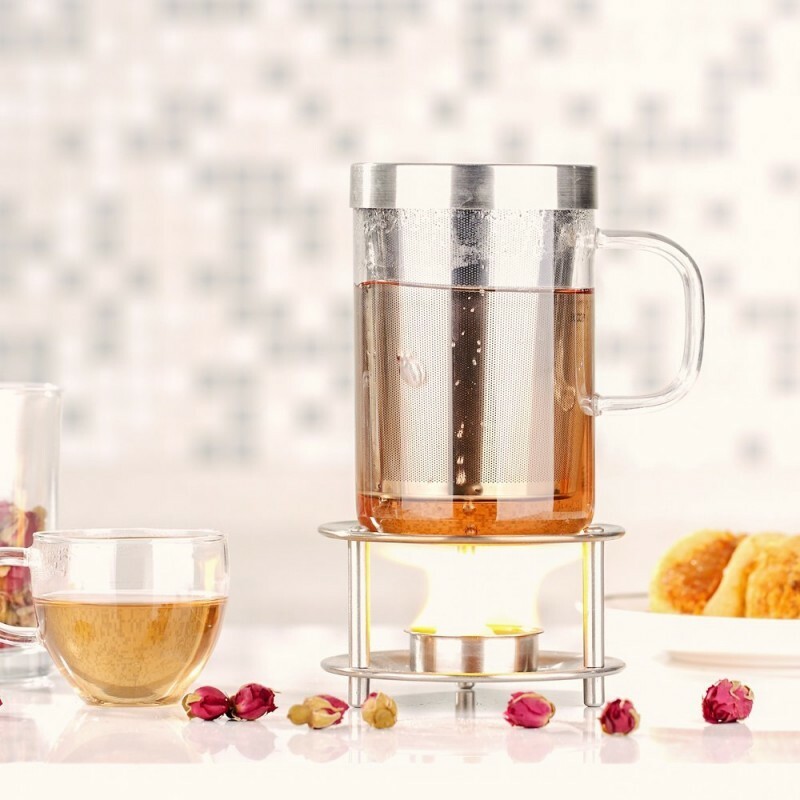 The tea infuser cup can handle instant temperature change from -30 ℃ to 150℃. 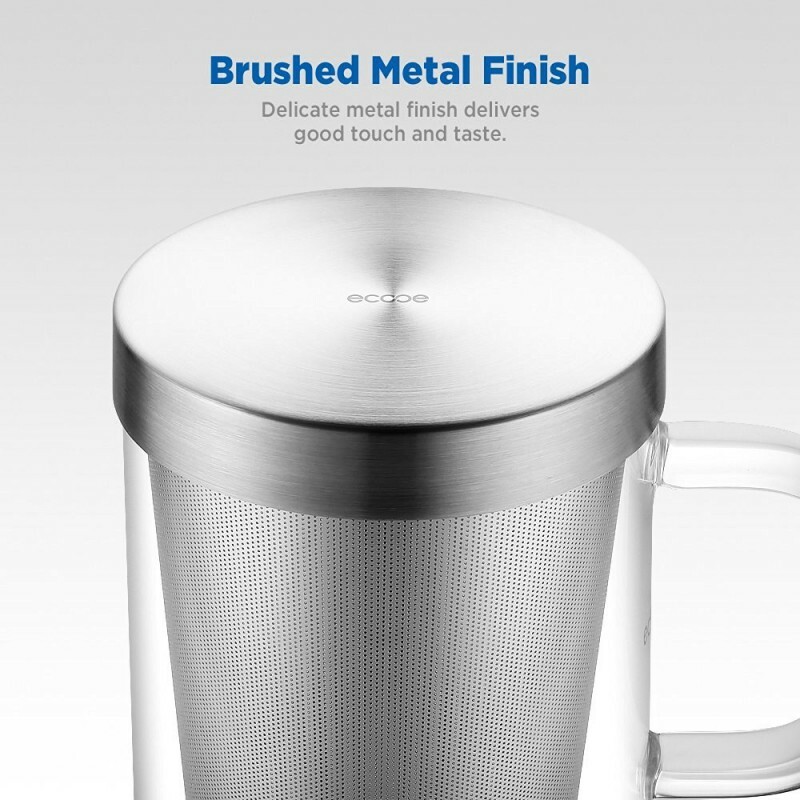 It allows you to fill boiling water into the frozen tea cop instantly. Ultra-dense filter keeps any residues from escaping to your tea. 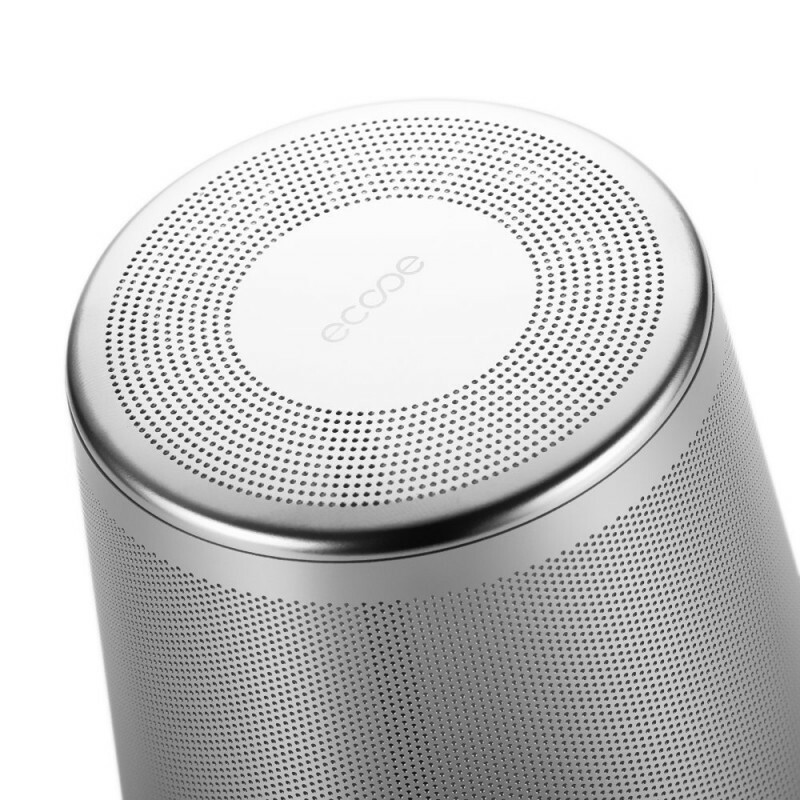 Made of 304 stainless steel, the filter is solid and won’t be out of shape for years of use. Fun to use and pleasing to look at, an unqualified 5 star verified purchase review. It is aesthetically pleasing, has a sturdy conical metal pinpoint filter, and a metal cap that doubles as a holder for the strainer. The mug itself feels appropriately sturdy for a clear glass mug. Love the clean design and functionality of this mug. Easy to clean and use. Great customer service when I needed to contact the company. Love this mug! Would have given it 5 stars except the flawed lid design. The lid gets extremely hot, and you need a pot holder to remove if you cover while steeping. A rubber bumper would correct this problem. This is actually a pretty nice size cup. 17 ounces holds an ample amount of whatever you like to drink. The glass feels durable (although it is thin and light). You should use plastic or wooden utensils with this mug. It is single layer, so liquids do NOT stay as cold or hot for as long as an insulated or double-walled cup (thus my 4 star rating). One solution that helps is to cut a slit in a foam drink coozy and slip it on (you can also buy little 'jackets' for that purpose). This helps to keep stuff cold & hot longer (but the mug sweats). Liquids stays even warmer or colder using its lid. It does make good tea (but I used a tea-bag), Sorry, I have NOT used the stainless steel tea infuser for comment, but I wish it had a wire loop to help pull it out of the mug with. All-in-all, its size and being an infuser makes it worth your consideration. Double-walled cups are a lot more fragile, but I may buy one in the future. Lovely. I was served tea in one of these at a restaurant and bought it right then. It works like a charm. The handle stays plenty cool in my experience, though yes, if you're using boiling water (which you really shouldn't do with tea or coffee), you could burn a bit on the knuckle or lid. However, since that's not how to steep tea, and I can control my fingers, it's not an issue. The lid also works nicely to hold the strainer after it's removed. If you don't overfill it, it's easy enough to grasp the strainer to remove it. This is the nicest product I've seen of it's type- maybe it's not perfect, but what is? I think it warrants five stars. I just received my new tea cup yesterday and was very excited to use it. I really like look of the cup and feel of the handle. However, there are two little changes I would suggest for this product, the metal lid and filter. Although, both work perfectly, by keeping loose tea from getting into your cup and by keep your tea hot while steeping, the metal gets rather hot. I did not realize this and when removing the lid I nearly burnt my fingers, also the rim for the steeping filter is very small, which provides little to hold when removing from the glass, hence only four stars. Tea time is perfect now! My favorite way to drink tea. The mug is the perfect size for tea. Very sleek & keeps leaves out of your drink. Great design. 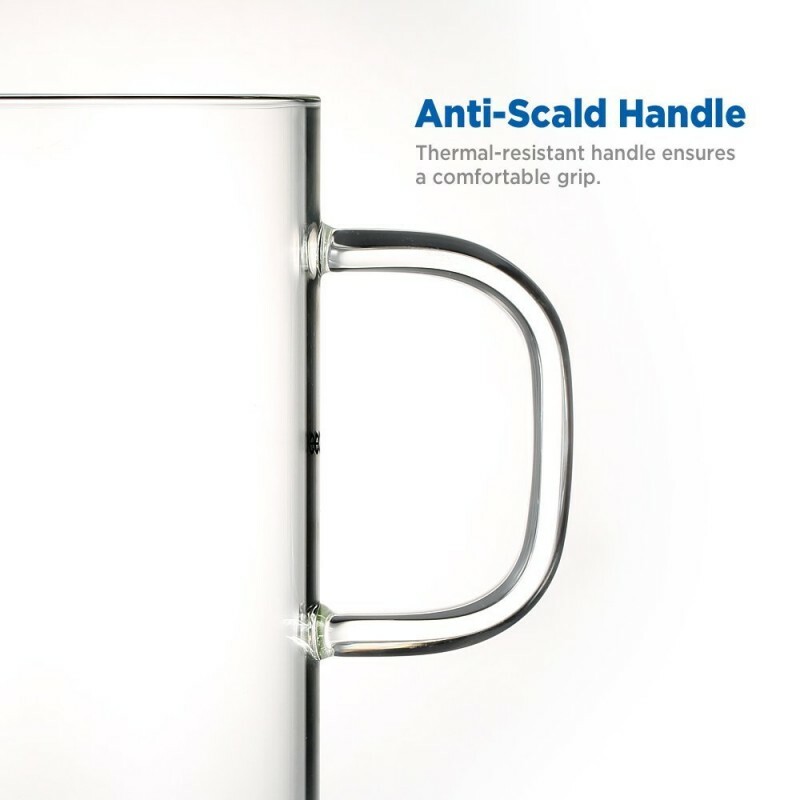 great mug with good strainer but it needs a silicone handle so it can be removed without burning your fingers. It's great. It has a modern look to it, making it a great gift for males as well, they love tea too. But it's great for serving coffee as well. Very nice glass and the lid doubles as a coaster for the strainer. I love that the bottom of the diffuser has holes as well so it drains well. I received this product at a discount for my honest and unbiased review. The tea infuser makes it easy and convenient to make a cup of tea quickly. As an avid coffee drinker, I have not had tea in a while even though I have awesome tea leaves I have received over the years. I love this infuser! I have taken a break from coffee to hone in my natural energy and I have these tea leaves that I have started to drink regularly now. I stopped drinking them prior to getting this infuser since it was so time consuming to make the tea - the process in the past was too much for me when I aim to get in and out with my beverage. Now it literally takes a couple of minutes thanks to this infuser. I would definitely recommend it. I may get a few as gifts. It doesn't hurt that it is also cute. I love the look and quality of this infuser. It is a single cup infuser but is perfect for a cup of tea. Just put your favorite tea in the filter, add water, then put on stove to heat. This is a great single cup infuser, love the clear glass with handle. The filter is made from 304 stainless steel, it is very durable and will last a long time. 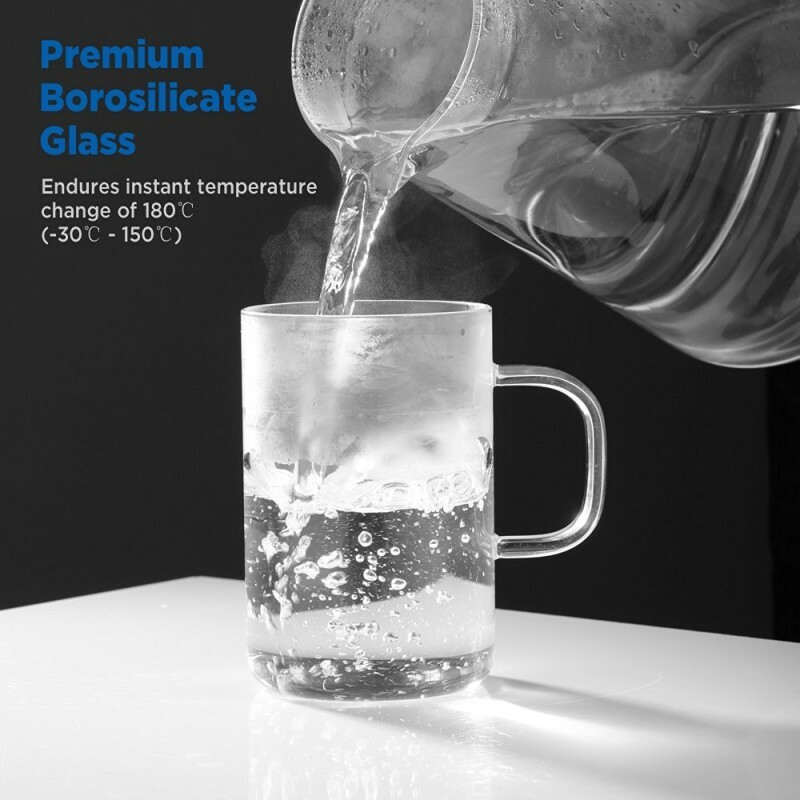 The glass is a special kind that is heat resistant. You can go from cold to hot and it will not hurt the glass at all. The filter is easy to clean and filters very well. I am very happy with the quality and look of the infuser and would say it is a great thing to have. Just be aware that when you do put this on the stove to heat, it is so much smaller than most burners that the handle will get hot. * I received this item at a discount for my honest review. Nice cup even though it seems fragile! The design of the infuser and cover of this cup is really nice. I don't really like the shape of the cup. It looks like a beer mug or more masculine so it would be great for a man. The main reason I bought the cup anyways was because it's supposed to be stovetop safe. However, the glass is so thin and light that I'm afraid to even try it out. It is light and seems very fragile. Oh well, one more cup to add to my collection. After having used the cup to brew some tea, I've given 4 stars. If it works on stovetop I'll give 5. It brews pretty well and is easy to clean. However, the cover gets very hot so that's a bit of a nuisance as I have to remove tea leaves while still hot. So be careful. FYI, a glass or ceramic cover does not get this hot. Hardly any residue from tea leaves were able to pass the infuser. The handle did not get hot. It's growing on me! Great quality seamless glass and works for the purpose it is intended. The glass is thin (2-4mm thick), however with proper care and use I imagine to get many years of use.